So I am back to reviewing after a brief break to attempt to find a job in the “real world”. The other day I received a mixed sample case from CRUNK!!! Energy Drinks from Atlanta, Georgia. 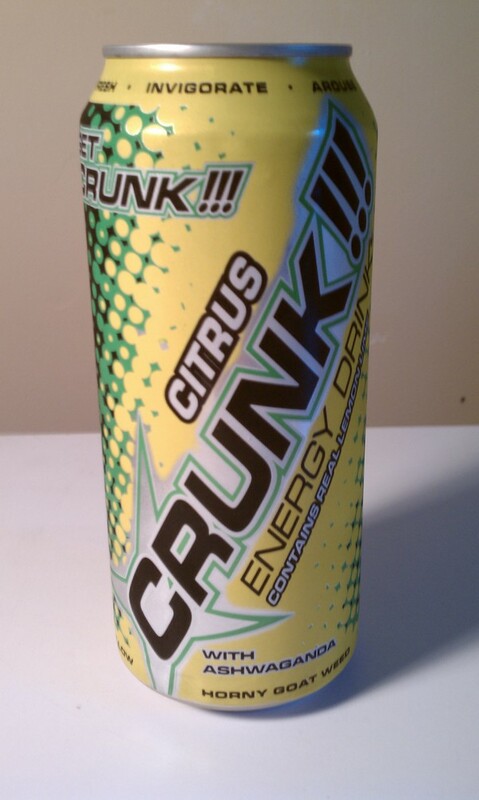 CRUNK is promoted as a party drink with a strong tie to the rap scene and college scene. I love the packaging on the Citrus can, it reminds me of one of my other favorite energy drinks based on a Aussie soda called, Coolah, which has been sense discontinued. I am very excited to give my opinions on this one. How does it smell and look? Cracking this bad boy open I take a smell. Very light lemon tones hit my nose. On pour a cloudy hew of yellow fills my tasting glass, sort of like a freshly made lemonade’s color. The carbonation fizzes out very quickly and is apparently very light. The beverages has three things on its flavor that jump out immediately. The lemon citrus flavor I smelled is present, a sour pucker version of a lemonade taste. The sweetness is masked by the sourness which I prefer. The second flavor is a hint of a tropical under tone. The finish of the beverage is clean and does not have the typical chemical burn or aftertastes that most energy drinks are nitrous of having. Overall a nice taste, has also very good mixable options if you prefer it in a alcoholic drink. Available at all Cumberland Farms locations in my area and it tastes like a old energy drink I love. YEEEEAAAHHH!!! I would buy this again, I actually see a lot of good deals for this beverage all the time so this is one energy drink I will definitely added to my insomniac arsenal. I would like a little more carbonation to make a more refreshing drink as well as the great taste it holds, but thats small beans in the pot. If you want to find CRUNK!!! in your area go to their website and enter your zipcode or hit them up on twitter @Crunkenergy they respond pretty quickly.